This post has been updated with radium results at the Marshall plant. 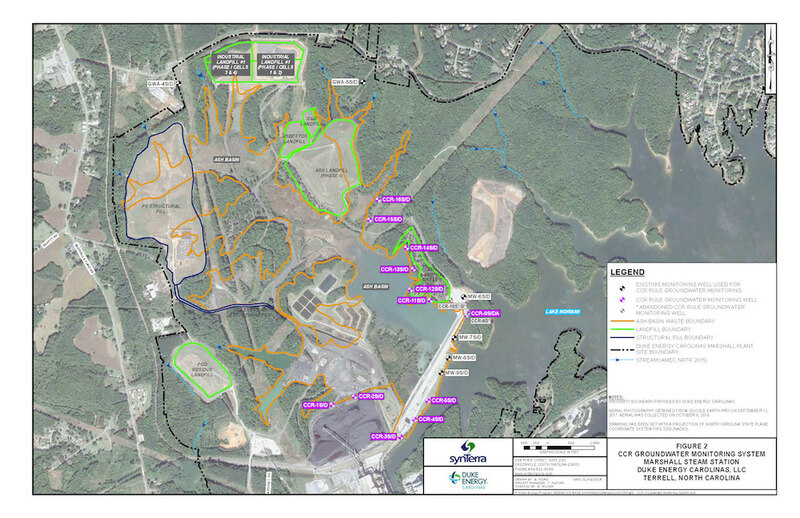 Elevated levels of thallium, a cancer-causing chemical element often found in coal combustion residuals, was detected in more than a quarter of samples taken from groundwater wells near Duke Energy’s Rogers/Cliffside plant in Cleveland and Rutherford counties. At Marshall, in Catawba County, 20 percent of the samples contained high levels of thallium. Ten to 12 separate chemical contaminants were detected in groundwater wells at Marshall and Cliffside. A full list and the ranges of levels about the groundwater standard are listed below. The results were disclosed as part of Duke Energy’s federally mandated groundwater reports, which totaled 20,000 pages. 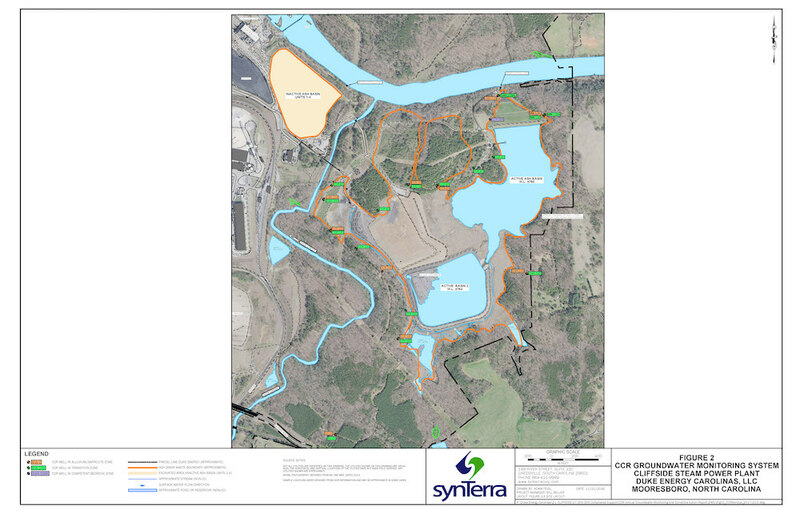 NC Policy Watch wrote last week about contamination near four of the plants, and is reporting on the remaining seven this week. The groundwater wells are not used for drinking water, and they all lie within Duke Energy’s compliance boundary. However, in general, groundwater travels, and depending on the slope and geologic formations, it can enter drinking water wells, as well as lakes and streams. In the case of thallium, it can build up in fish tissue. At Marshall, three of 63 samples tested high for radium; one of those samples was more than twice the drinking water standard. In the tables below, the radium was calculated using a margin of error included in the documents.